Spielberg (AT), 3rd August 2014. After last year’s one-two-three, the BMW DTM teams moved up another gear at the sixth round of the season at the Red Bull Ring (AT) to claim the top four positions for the first time since the manufacturer returned to the DTM in 2012. Marco Wittmann (DE), at the wheel of the Ice-Watch BMW M4 DTM, clinched his third win of the season at the 4.326-kilometre circuit in Spielberg (AT). In doing so, he also extended his lead in the Drivers’ Championship. 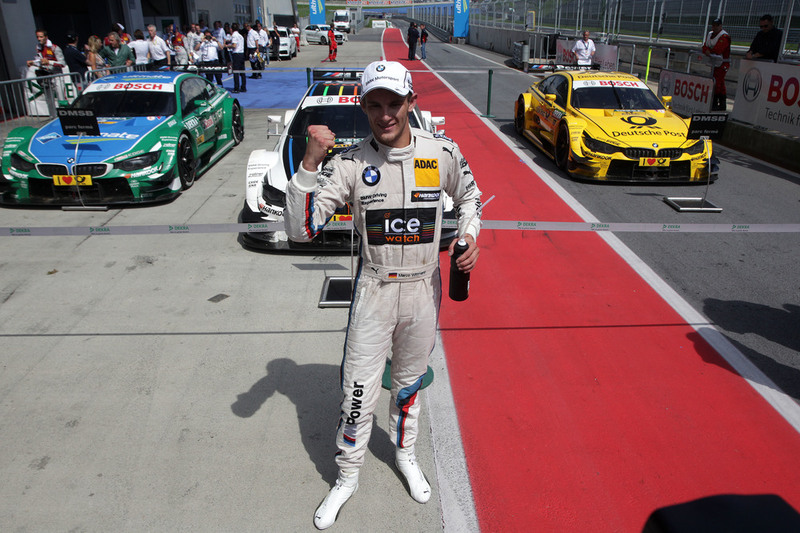 Now with 95 points to his name, Wittmann has pulled 39 points clear of Mattias Ekström (SE, Audi) in second place. Augusto Farfus (BR, Castrol EDGE BMW M4 DTM) and Timo Glock (DE, DEUTSCHE POST BMW M4 DTM) came home second and third after 47 laps of racing to join Wittmann on the podium. 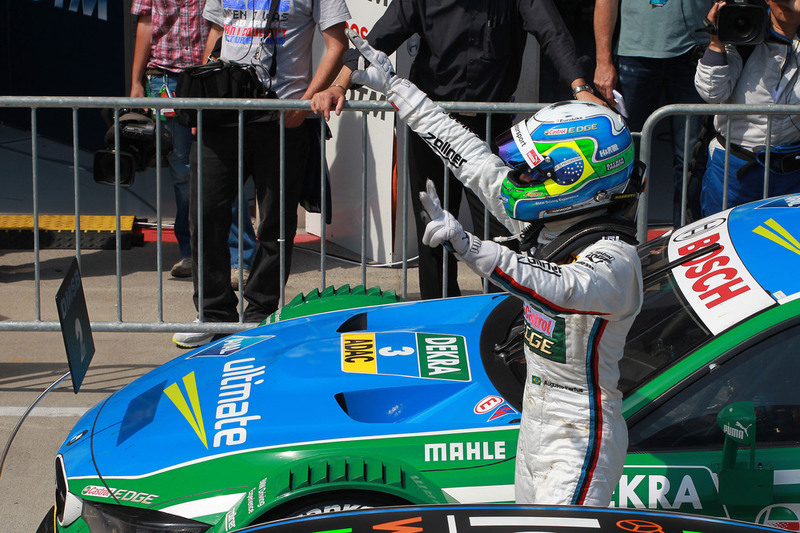 Martin Tomczyk (DE) finished fourth in the BMW M Performance Parts M4 DTM to complete the quadruple success for BMW. 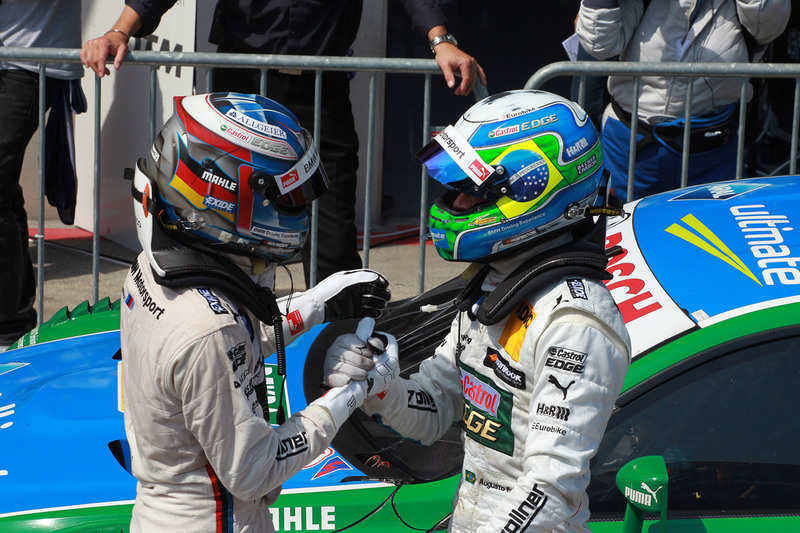 This was Tomczyk’s best result since the race at the Nürburgring (DE) in 2012. The last time BMW occupied all four top positions at the end of a DTM race was at the finale of the 1992 season at the Hockenheimring (DE). Back then BMW actually had drivers in the top places, in the form of Roberto Ravaglia (IT), Johnny Cecotto (VE), Joachim Winkelhock (DE), Franz Engstler (DE) and Emanuele Pirro (IT). 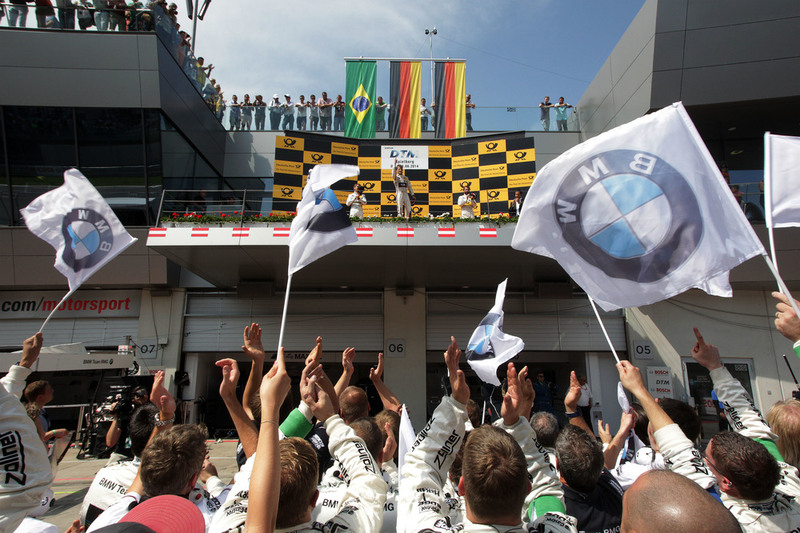 BMW scored a total 71 points in Spielberg – more than at any other race since making its comeback in the touring car series in 2012. Bruno Spengler (CA) started tenth on the slower standard tyres in the BMW Bank M4 DTM, and crossed the line in exactly the same position. Joey Hand (US, Crowne Plaza Hotels BMW M4 DTM) and Maxime Martin (BE, SAMSUNG BMW M4 DTM) were both given a drive-through penalty and went on to finish 12th and 14th. António Félix da Costa (PT) had to retire 11 laps into the race due to a technical problem on the Red Bull BMW M4 DTM. 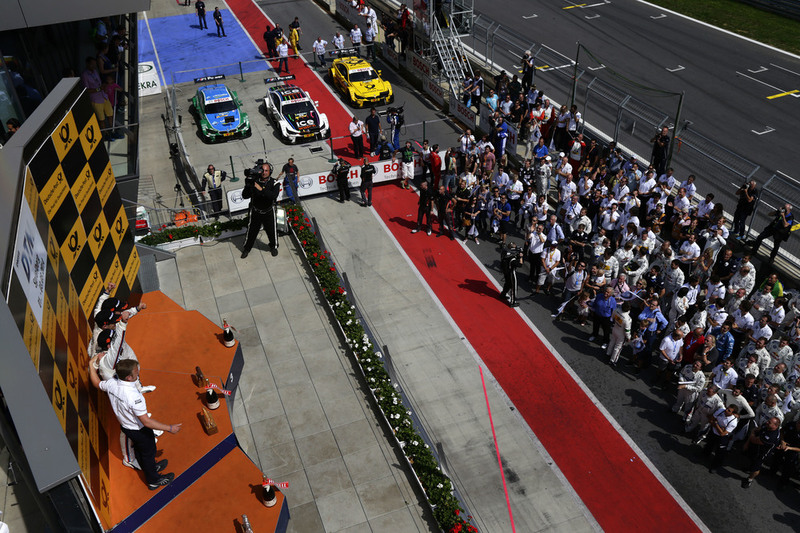 In total, 47,500 spectators followed the action at the iconic racetrack in the Styria region of Austria. DTM standings after 6 of 10 races. 1. 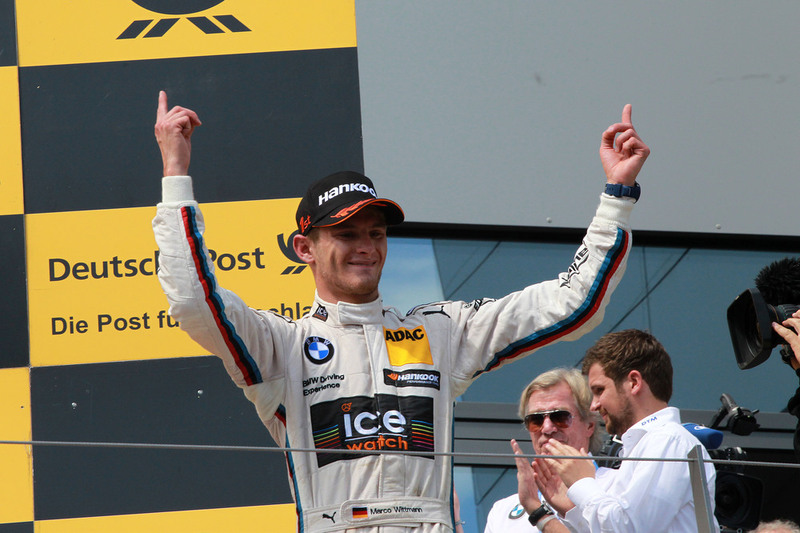 Marco Wittmann (95 points), 2. Mattias Ekström (56), 3. Bruno Spengler (42), 4. Edoardo Mortara (41), 5. Adrien Tambay (36), 6. Mike Rockenfeller (35), 7. Maxime Martin (33), 8. Christian Vietoris (33), 9. Augusto Farfus (33), 10. Timo Glock (33), 11. Jamie Green (28), 12. Miguel Molina (26), 13. Robert Wickens (25), 14. Martin Tomczyk (20), 15. Timo Scheider (19), 16. Pascal Wehrlein (14), 17. Paul di Resta (12), 18. Nico Müller (10), 19. Joey Hand (7), 20. António Félix da Costa (4), 21. Gary Paffett (4). 1. BMW Team RMG (128 points), 2. Audi Sport Team Abt Sportsline (82), 3. Audi Sport Team Abt (77), 4. BMW Team Schnitzer (62), 5. Audi Sport Team Phoenix (54), 6. Original-Teile Mercedes AMG (45), 7. BMW Team RBM (40), 8. Audi Sport Team Rosberg (38), 9. BMW Team MTEK (37), 10. EURONICS / FREE MAN'S WORLD Mercedes AMG (29) , 11. gooix Mercedes AMG (14). 1. BMW (267 points), 2. Audi (251), Mercedes-Benz (88). 4th May – Hockenheim (DE), 18th May – Oschersleben (DE), 1st June – Budapest (HU), 29th June – Norisring (DE), 13th July – Moscow (RU), 3rd August – Spielberg (AT), 17th August – Nürburgring (DE), 14th September – Lausitzring (DE), 28th September – Zandvoort (NL), 19th October – Hockenheim (DE).